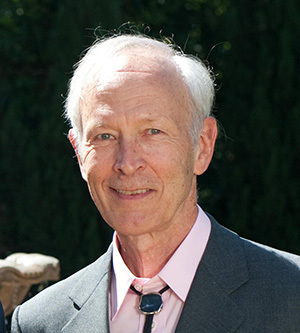 The American Geophysical Union (AGU) has awarded the John Adam Fleming Medal to Robert Coe, professor emeritus of Earth and planetary sciences at UC Santa Cruz. Coe is a geophysicist known for his contributions in the areas of geomagnetism and paleomagnetism. Much of his research has involved the investigation of the paleomagnetic record preserved in the magnetization of rocks. This record shows how the magnetic field of the Earth has varied over time. The Fleming Medal is given annually in recognition for “original research and technical leadership in geomagnetism, atmospheric electricity, aeronomy, space physics, and/or related sciences.” Established in 1960, the Fleming Medal is named in honor of John Adam Fleming, who made important contributions to the establishment of magnetic standards and measurements. Coe has received numerous awards in recognition of his research accomplishments, including the AGU's William Gilbert Award in 2007 and a Humboldt Research Award in 2008. He received the Outstanding Faculty Award for 2009-10 from the Division of Physical and Biological Sciences. Coe will be recognized with other AGU honorees during the Honors Tribute at the 2016 AGU Fall Meeting, which will take place in December in San Francisco.